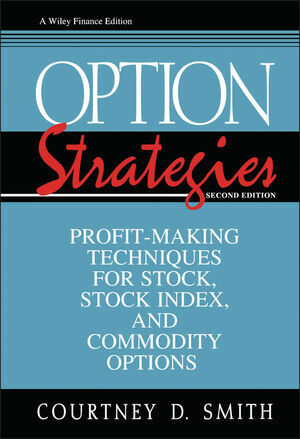 Written in clear, nontechnical language, this comprehensive guidemakes the complex world of options easier to grasp. For traders andhedgers--both novice and professional--this is the only book tohave for getting to the bottom of options, and staying on top ofthe latest strategies. With their high-profit yields and the flexibility they offer inbuying and selling, options are a preferred trading vehicle forinvestors. Trading options, however, is as complex as it can belucrative. Even for experts in the field, getting a firm grasp onthis high-risk activity can be difficult. Option Strategies makesit easier, offering all the tools you need to invest safely andprofitably, using the latest trading techniques. Now revised and updated, this comprehensive guide by one of theindustry's top experts covers all the essentials, from thefundamentals of options to the intricacies of options valuation andtrading. You'll find details on everything from carrying chargesand strike prices to commissions, interest rates, and break-evenpoints. Beyond the basics, you'll also learn about the bull andbear strategies needed to buy and sell calls, puts, spreads,straddles and combinations, synthetic positions, arbitrage, andmuch more. Additionally, major strategies are highlighted and accompanied by aunique "Decision Structure" that gives you a clear picture of howeach strategy works, and advice on how to plan your investmentbetter. Consisting of a series of questions and answers, thesedecision structures assist you in analyzing potential trades,determining your objectives and the amount of risk you're preparedto take, and deciding what follow-up action to take once you'veentered a trade. To help you tune in to current trading trends andpractices, this newest edition has been expanded to cover thelatest practical and innovative trading strategies, and advancedoptions techniques such as implied volatility. Filled with examples, charts, and graphs, this concise, accessiblebook is the only guide you'll need to stay on top of the high-risk,high-profit game of options. COURTNEY D. SMITH is President and CIO of Pinnacle Capital Management. He is the publisher of the top-rated investment newsletter, World Investment Strategic Edge, the Editor in Chief of Commodity Traders Consumer Report, and the author of three other books on investment topics. WHY AND HOW OPTION PRICES MOVE. The Basics of Option Price Movements.